Richard Bunk, director for Future Mobility Center (FMC) invited to kick-off for Halmstad University’s new research center, which is an initiative to conduct open innovation, focusing on academic frontline research, and perform truly multidisciplinary co-creation within the transportation area, people as well as goods. The event, which took place on April 12, gathered companies, organisations and institutions working within the transportation sector. The vision and functionality of FMC was presented, as well as information about products in development. More than 30 mobility-related organisations participated and showed a huge interest in the FMC approach to innovation. April 2 we had a seminar by Dr. Suzan Boztepe from Malmö University. Suzan is Senior Lecturer and Director of Strategic Media Development master’s program at Malmö University. Her research interests include generating economic value by design, service design and the strategic impact of design in organizations. Suzan talked about “Creating Value by Design: From Everyday Life to Economics” based on her research on different aspects of design practices in relation to diverse yet contradictory conceptions of value. Idag (9/4) har vi haft besök från två alumner från DDI: Johanna Levall som tog examen 2018 och Sara Ekelund som tog examen 2017. De talade om sina erfarenhet efter utbildningen, gav tips för jobbsökande, lyfte saker som de tyckte hade varit speciellt användbara under utbildningen, och svarade på frågor från studenterna om hur deras dagliga arbete såg ut. Efter presentationerna bjöds det på fika och mingel, och många stannade kvar och pratade med Sara och Johanna. 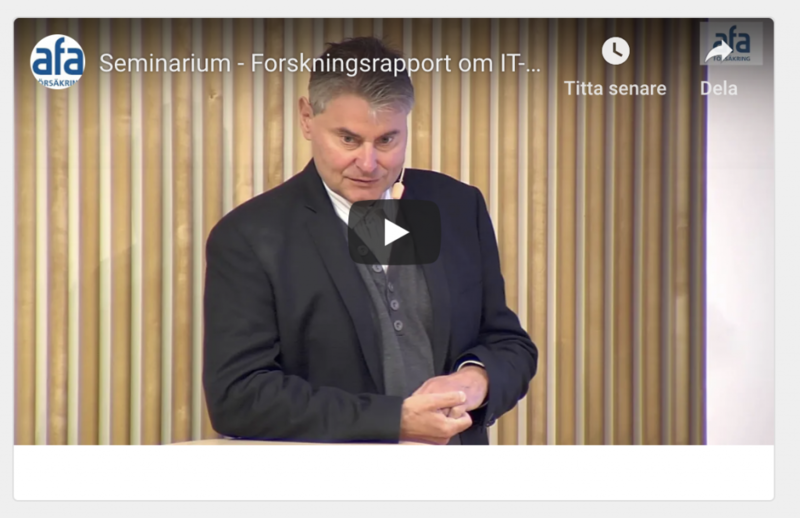 Tillfället var mycket välbesökt, med drygt 50 studenter från programmets tre år, och förhoppningsvis var det både inspirerande och lärorikt att få en viss inblick i vilken typ av karriär som våra studenter får efter avslutad utbildning. – Susanne Lindberg, programansvarig. A new episode is released by Teknikdygnet. 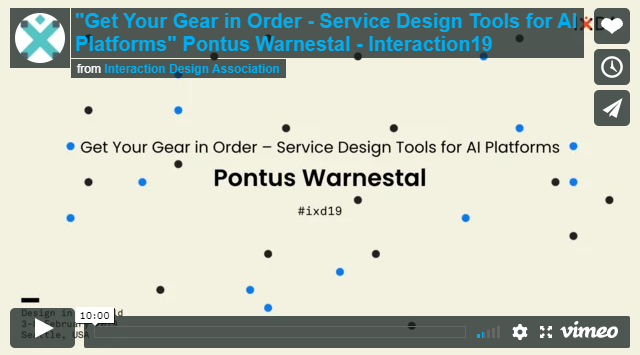 Listen to Pontus Wärnestål and Fredrik Hofflander, AI expert at ÅF, discussing AI and service design, emerging benefits and risks. 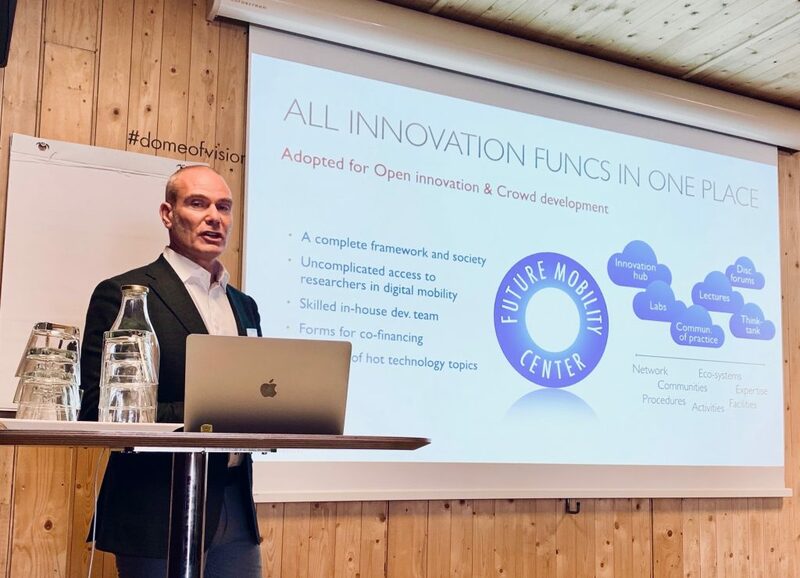 Vinnova is now investing in nine pilot projects in which universities will produce short courses for professional specialists. Professional development during ones work-life is becoming increasingly important for Sweden’s competitiveness and innovation capacity. The project Digital Design and AI Podcasting is developed by Pontus Wärnestål and Stefan Byttner at ITE, in collaboration with RISE Viktoria, Digital Reliance and inUse/ÅF. HPC is assisting with pedagogic matters. The arrival of autonomous vehicles in our society will significantly change the way we travel. But should we, and our cities, adapt to new urban mobility or can technology be tailored for us? 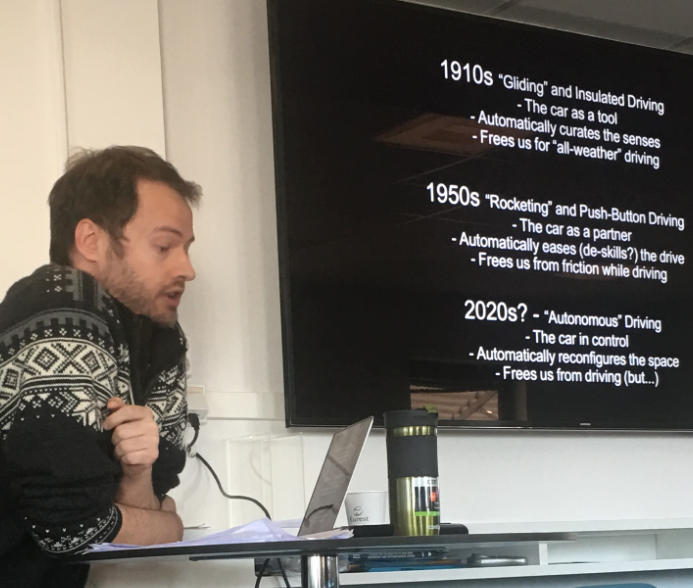 A new Drive Sweden project hosted by Halmstad University combines experimental prototyping and testing of intelligent services for urban development and autonomous vehicles, with participatory and human centred research. The project leaders are gathered during the first out of four workshops. 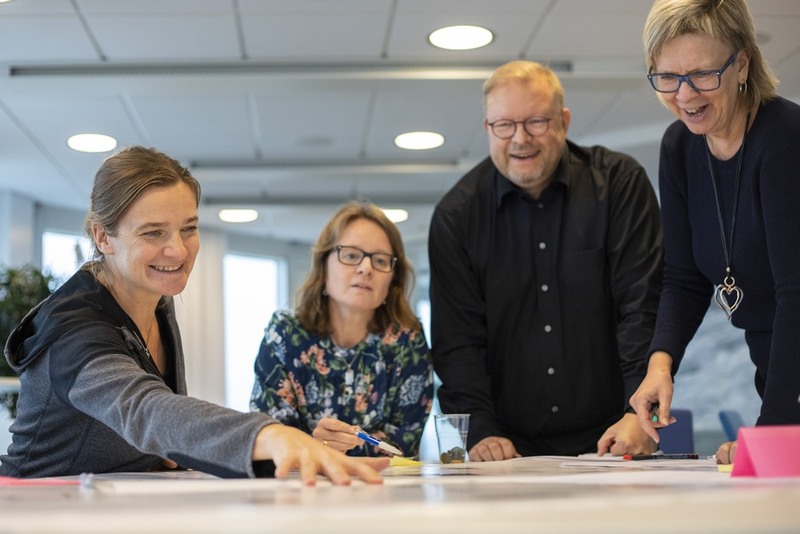 From the left: Vaike Fors, Associate Professor at Halmstad University, Susanne Duval, strategic infrastructure planner at Helsingborg City, Patrik Palo, Senior UX strategy advisor at Volvo Cars and Suzanne Andersson, strategic infrastructure planner at Gothenburg City.